It appears to heavy and black in relation to all other letters. Problem does not exist in the regular font variant. Hello Benjamin: please could you re-take the screenshot copying and pasting the two magic characters: '' into the text-field first. This will print the version number and the hinting-engine status/pixels-per-em value. Hello Mark, Hello Paul! Thanks for your fast and kind feedback. I updated my text to include the special diagnostic characters as well as all the others capital letters. In fact it seems that the problem affects a whole set of of them up to different extents. Please find attached my updated example screenshot as well as the HTML source file I used as source. 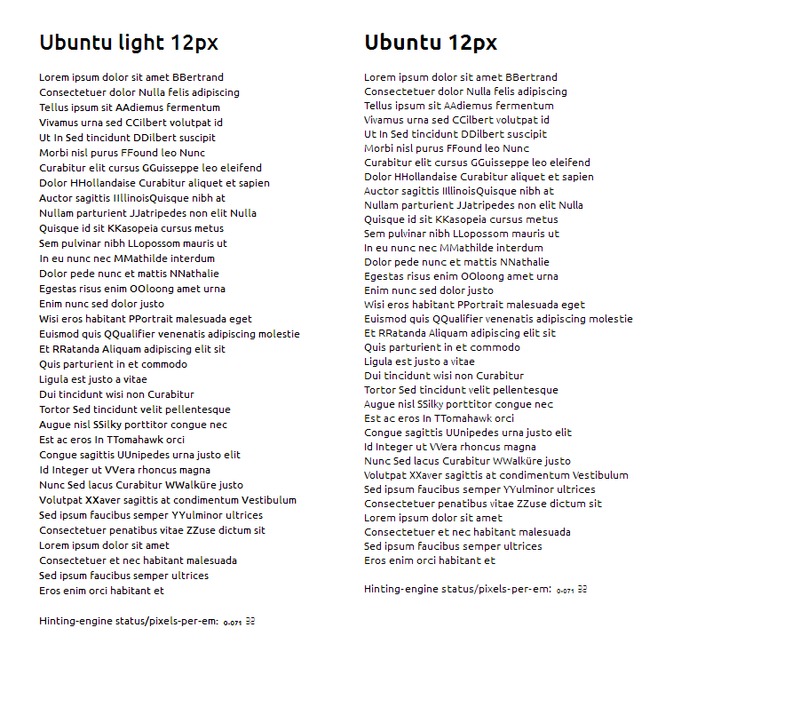 I really like the font that's why I use 'Ubuntu Light' also as default font at work (Windows). I hope not the platform something else on my side is the issue. Should I change the issue title of this issue to a more generic wording instead of creating a new issue? Slightly puzzling; the PPEM read-out appears to say '32'; however, if 32 is instead the number of sub-pixels, rather than the number of pixels then it could well be correct (32/3 ~= 11 PPEM ~= 12 px). 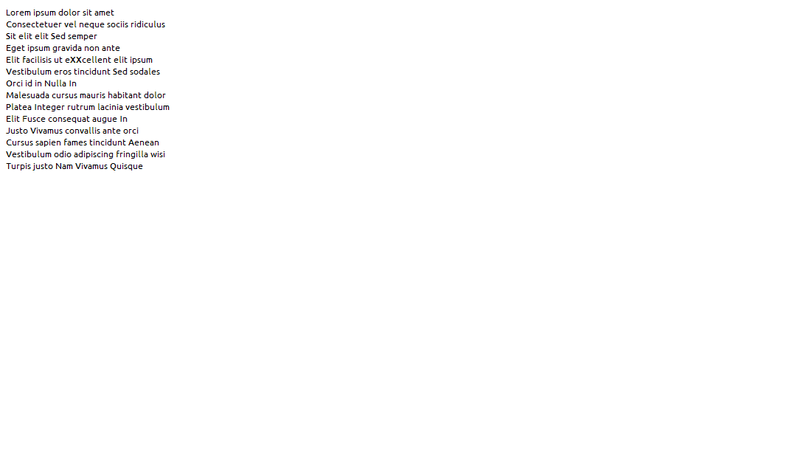 Looking at the screenshot, it appears that V, W, Z are perhaps a little heavy in their hinted form too. As a separate issue, if I view the HTML file on Ubuntu 11.04 with the Mediums installed, then I end up viewing Medium (left) and Regular (right), instead of Light+Regular.